Welcome to our Big Bend National Park guide. We’re working on building the most comprehensive resource for Big Bend National Park available for free on the internet. This will probably be a lifelong pursuit for us due to the size and scope of the region, so it’ll probably never be done, but the journey will be worth it. Panther Junction Open daily, 9:00am–5:00pm. Reduced hours on Christmas day. Chisos Basin Open daily, 8:30am–4:00pm. Closed for lunch. Reduced hours on Christmas day. Castolon Open November through April 10:00am–4:00pm. Closed for lunch. Persimmon Gap Open daily, 9:00am–4:00pm. Closed for lunch. Rio Grande Village Open November through April, 8:30am–4:00pm. Closed for lunch. If you want cool, dry hiking conditions in the lower elevations, November through February is recommended. Just keep an eye on the weather, because it can get below freezing. The weather chart above can be somewhat misleading. 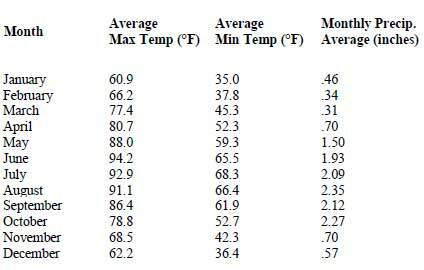 The temperatures shown are from Panther Junction (Park Headquarters) which sits at about 3,720′ in elevation. Rio Grande Village, which sits near the Rio Grande River, is at about 1,850′ in elevation and can sometimes be dramatically hotter. Chisos Basin sits at about 5,350′ in elevation and can be dramatically cooler. Be prepared. If you do go to Big Bend during the hot parts of the year, be sure you’re wearing the proper clothing for desert hiking. It can get as hot as 115 degrees in the lower elevations, especially down by the Rio Grande River. We don’t recommend hiking in the lower elevations during these times of the year. Get current weather, river levels and other critical park information from the Big Bend National Park Daily Report. 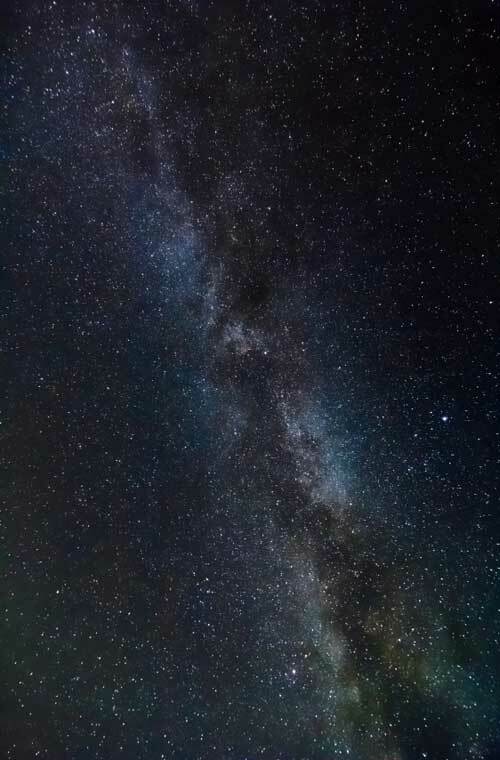 Being so remote, Big Bend is one of only a few parks in the United States certified as an International Dark-Sky Park by the International Dark-Sky Association. Our favorite way to experience the dark skies offered by Big Bend National Park is to stay overnight in one of the backcountry campsites outside of the Chisos Mountains. If you’re after dark skies, you should also try to plan your visit in one of the drier times of the year. The lack of humidity in the air will keep any haze to a minimum. Where is Big Bend National Park? How to get there and what entrance you should use. Big Bend National Park Hiking Trails – Our incomplete guide to Big Bend National Park hiking. With more than 150 miles of trails in the park, we have a ways to go, but our intention is to cover every foot, in depth, before we’re done. Big Bend National Park Camping – A comprehensive guide to all of the camping sites in Big Bend, from complete solitude at one of the remote backcountry campsites, to the always busy Chisos Basin Campground. 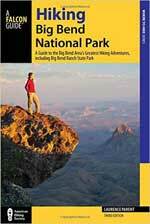 Big Bend National Park Lodging – Select hotels inside and outside of the national park. When it’s 110 degrees out, air conditioning is kinda handy. Big Bend National Park Historical Sites – Big Bend National Park has one of the richest histories of all of the National Parks due to being an active mining, ranching and farming community prior to becoming a National Park. Big Bend National Park Maps – We’ve tried to track down every map available for Big Bend National Park, both free and for purchase.